Harold E. "Hank" Lane Jr. 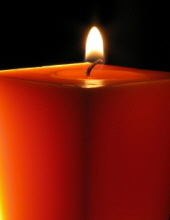 Celebrating the life of Harold E. "Hank" Lane Jr.
Obituary for Harold E. "Hank" Lane Jr.
Harold E. “Hank” Lane Jr., 73, resident of Hollis, NH, died on January 5, 2019 at Catholic Medical Center, Manchester, NH surrounded by his loving family. He was born in Boston, MA, a son of the late Harold E. Lane Sr. and Constance (Mason) Lane. Hank was raised in Needham, MA and graduated from Cambridge School, Weston, MA. He attended and earned his degree from Boston University. He made his home in Carlilse, MA for 40 years and following his retirement, he and his family moved to Hollis, NH. Internationally renowned Biochemist who contributed to blood analysis and metastatic disease advancements over four decades. The majority of his career spent at Millipore Corporation and Corning Costar, while heavily involved in speaking engagements all over the world. Upon retirement he had many hobbies including all forms of electronic communications, signal transmission and analysis. Of particular note, was his involvement in the SETI project. He was a volunteer at the Concord Emergency Management Team. He liked listening to music, especially folk music and was an avid reader, particularly of detective novels. His passion for all humanitarian efforts was well-known to all who were fortunate enough to call him friend, confident, father, brother, husband and animals alike. Family member include his wife of 48 years, Judith A. (Broderick) Lane of Hollis, NH; three sons and daughters in law, Timothy J. and Christine Lane of Marlborough, MA, Alex M. and Yvette Lane of Hollis, NH, Brendan L. and Laura Gaughran of Clearwater, FL; a sister and brother-in-law, Nancy Lane Piper and Jack Piper of Center Tuftonboro, NH; a brother, Stephen W. Lane of Honolulu, HI; many nieces and nephews. Take care of yourselves, take care of the people around you. Tell them out loud how you feel, love them, let them cry. Make them laugh. Rest easy Hank. A celebration of his life will be held at a later date. In lieu of flowers, donations in his memory may be made to the NH Audubon, 84 Silk Farm Road, Concord, NH 03301. "Email Address" would like to share the life celebration of Harold E. "Hank" Lane Jr.. Click on the "link" to go to share a favorite memory or leave a condolence message for the family.